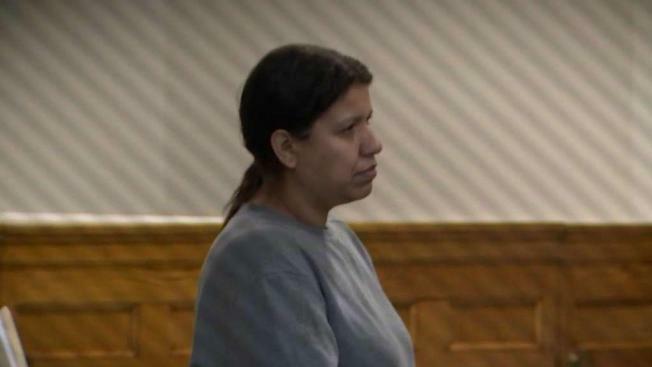 A woman says her trusted housekeeper cleaned out her bank accounts, stealing $72,000. Now, she says the legal system is letting her down after a Boston judge allowed her to keep her passport. Eve Dougherty’s long-time housekeeper was accused of stealing her checks and fraudulently cashing more than $70,000. The housekeeper, Aparecida Rodrigues Alves, faced felony criminal charges for identity fraud, larceny and check forgery. The judge asked for details about the case and indicated he would allow Alves to keep her passport. First, Eve Dougherty said her trusted housekeeper cleaned out her bank account. Now, the Charlestown woman believes the legal system is letting her down, thanks to a controversial courtroom decision by a Boston judge. “You go to the courts, hoping to get some justice. And you don’t. It’s very disheartening,” Dougherty expressed. As the NBC10 Boston Investigators detailed last December, Dougherty’s long-time housekeeper was accused of stealing her checks and fraudulently cashing more than $70,000. Even worse, Dougherty discovered the missing funds too late, meaning Citizen’s Bank did not reimburse the money from the college savings account for her three kids. “It’s a very expensive lesson,” she lamented at the time. An expensive lesson, but Dougherty figured she would at least get some justice in court. The NBC10 Boston Investigators were in a Charlestown courthouse last November as Aparecida Rodrigues Alves (known to clients as “Amanda”) faced felony criminal charges for identity fraud, larceny and check forgery. One of the forged checks allegedly signed by Aparecida Rodrigues Alves. After pleading not guilty, Alves was released on personal recognizance but received one specific order from Judge Thomas Kaplanes. “She is to surrender her passport,” he said. However, after leaving the courtroom that day, it turns out Alves had a change of heart. A few days later—the deadline to surrender her passport—Alves told probation officials that she wanted to keep it. They told her a judge would need to make the decision and set a hearing for later that afternoon in Charlestown. That’s when a different judge, Michael Coyne, lifted the requirement for Alves to surrender her passport. Coyne declined an interview request to discuss his decision, but the NBC10 Boston Investigators obtained audio of the courtroom exchange. The audio revealed that Alves did not even show up at the hearing. Her appointed defense attorney told Coyne he hadn’t heard from his client. Despite her absence, the judge asked for details about the case and indicated he would allow Alves to keep her passport. The Suffolk County prosecutor argued that Alves had just agreed to the conditions of release in lieu of a request for cash bail. “The Commonwealth is concerned that she is attempting to flee the country at this point,” the prosecutor said. When Alves was supposed to be back in Charlestown for her next court date in February, she was nowhere to be found. Authorities issued a warrant for her arrest. “I knew she was gone,” Dougherty said. Attorney Wendy Murphy called the judge’s decision baffling, especially considering Alves was not even present at the hearing. Judge Michael Coyne lifted the requirement for Alves to surrender her passport. “The systems at the airports, bus terminals and train stations are so strict today than they were a few years ago, it would be doubtful she could get out of the country at this point if she has a pending case,” Coyne can be heard explaining on the court recording. Murphy said that is not how the system works. “If you show up at the airport with a ticket and a passport, they aren’t going to run your record to see if you have a charge pending,” she said. A spokesman with U.S. Customs and Border Protection confirmed that assertion to NBC10 Boston, saying a pending criminal case would not necessarily be flagged to prevent someone from traveling out of the country. A criminal defense attorney at Boston University School of Law, Karen Pita Loor, defended Coyne’s decision. “This was absolutely the right decision,” said Pita Loor, who has a background in cases involving immigrants. The law professor said the judge correctly considered Alves’ lack of a prior criminal record, along with the fact she’s been raising several kids in Malden. “I think most judges would look at her situation and would decide she’s not a flight risk and a person we need to worry about,” Pita Loor said. On Tuesday, a spokesman with U.S. Immigration and Customs Enforcement (ICE) told the NBC10 Boston Investigators that Alves is a Brazilian citizen who entered the country in June 2009 as a tourist and never left. Dougherty said the passport requirement was her only request at the time of the arraignment, instead of making the mother of four kids come up with cash bail. Eve Dougherty said her trusted housekeeper, Aparecida Rodrigues Alves, cleaned out her bank account. Ryan Kath can be reached at ryan.kath@nbcuni.com. You can also follow him on Twitter or connect with him Facebook.